Canada’s crime rate is dropping as immigration increases. Is there a connection? Rachel Giese is a Toronto journalist and a former Walrus senior editor. Thorncliffe Park The view from one of the neighbourhood’s towers. Late last summer, the MV Sun Sea, a small Thai cargo ship, entered Canadian waters off the British Columbia coast, where it was intercepted by the navy and the RCMP. Crowded on board were 492 Tamils, including women and children. The vessel’s arrival was not unexpected; in fact, the government had been monitoring its journey for months and had intelligence that it was smuggling refugees from Sri Lanka. Canada has been a popular destination for people fleeing the ravages of the twenty-six-year civil war and a 2004 tsunami: there are now 20,000 Sri Lankans here, and more coming all the time. That the point person was Toews, and not Jason Kenney, the minister of citizenship, immigration, and multiculturalism, was telling. It framed the Sun Sea situation as a potential danger to the public, and prompted a swift response. The passengers were put into detention (nearly sixty of them remain there, and in March two were ordered to be deported because of ties to the Tigers). The government also introduced Bill C-49, which would allow officials to detain smuggled migrants for one year, and bar them from applying for permanent residence and sponsoring family members for five years. The public was unsympathetic. In a column for the Sun chain of newspapers, conservative author Ezra Levant referred to the refugees as “gatecrashers” who were exploiting the country’s largesse. “Taxpaying, law-abiding Canadian citizens don’t even get free dental care, in case you’d forgotten,” he wrote. Meanwhile, an Angus Reid poll revealed that 46 percent of Canadians believed immigration was having a negative effect on the country. When asked specifically about the Tamil refugees, 50 percent wanted to deport them back to Sri Lanka. This may seem like a surprising turn for a country that is particularly supportive of diversity. After all, we’re an officially bilingual nation of immigrants; 20 percent of us are foreign born, and only aboriginal people, who make up a small fraction of the population, can legitimately claim to be from here. Last year, Canada had its highest rate of immigration in over fifty years, with more than 280,000 people being granted permanent resident status. And according to a recent international survey, Canada is one of the best nations in the world at integrating immigrants, scoring high marks for educational and job opportunities, as well as for anti-discrimination and equality policies. Yet the suspicions about the Tamils echo previous spasms of anti-immigrant animus, like the Chinese head tax and the internment of Germans, Austro-Hungarians, Turks, Bulgarians, and Japanese Canadians during the two world wars. And the Tamils’ arrival by boat recalls two other particularly ugly moments in this history: in 1914, a Japanese freighter carrying some 400 passengers, mainly Sikhs from India, landed in Vancouver but was denied permission to enter Canada. The ship returned to India, where twenty passengers were killed after they disembarked. Twenty-five years later, the MS St. Louis, carrying over 900 Jews fleeing the Nazis, was turned away by Canada, the US, and Cuba. Back in Europe, nearly a third of those passengers would die in the Holocaust. Two worshippers in a mosque that was converted from a storage room in a local apartment building. In times of social upheaval and economic hardship, immigrants are a convenient scapegoat, accused of bringing with them an element of deviance and criminality: they upset the social order, the line goes, steal our jobs and our property, and ruin our neighbourhoods. This would seem to be one of those times. In the US, anti-immigrant rhetoric has spawned nutty excesses, like the Minutemen militia group that is building a fence along the Mexican border, and the recent, McCarthy-esque congressional hearings on the “radicalization” of American Muslims. In Canada, there has been a general, albeit less extreme, souring toward immigrants, as well. In 2007, a Léger poll determined that one-third of Quebecers believed that their society was threatened by non-Christian newcomers, and nearly 60 percent wanted immigrants to follow a “code of conduct” akin to the ham-fisted code de vie infamously mandated by the village of Hérouxville. A year after that, in Calgary, MP Lee Richardson told a reporter that people who have grown up in a different culture “don’t have the same respect for authority or people’s person or property… Talk to the police. Look at who is committing these crimes. They’re not the kid who grew up next door.” Richardson later retracted his comments, but they appear to reflect the popular view. An international survey of public attitudes about immigration published in 2009 found that while Canadians have positive feelings overall about immigrants, more than half blame illegal migrants for driving up crime. What few have bothered to ask is whether there’s any merit to this belief. There have certainly been signs that they should. In Arizona, where a new law makes the failure to carry immigration documents a crime and gives the police broad powers to detain anyone suspected of being in the country illegally—an infraction sometimes called “walking while Hispanic”—crime levels have actually dropped with the concurrent influx of Mexicans. In fact, the violence of Mexico’s drug war doesn’t seem to have travelled north with immigrants: crime rates in US towns along the country’s 3,200-kilometre southern border are down. In Canada, an overall drop in crime has paralleled the upsurge in non-European immigration since Pierre Trudeau championed multiculturalism in the 1970s. Half of Toronto’s population now consists of those born outside Canada; notably, the city’s crime rate has dropped by 50 percent since 1991, and is significantly lower than that of the country as a whole. Could it be that immigrants are making us all safer? Shoppers line up at Iqbal Halal Foods. When the violent crime rate in the US began to fall, sharply and consistently, in the 1990s, a handful of criminologists and sociologists there started investigating a possible connection to the rising tide of immigration. Two early studies that tracked crime in dozens of metropolitan areas discovered that cities with the highest increase in immigration also had the largest decrease in violent crime; there was possibly a causal relationship, but it wasn’t clear what it was. One of the first researchers to begin to connect the dots was Harvard sociologist Robert J. Sampson. About a decade ago, he and his colleagues looked at violent acts committed over an eight-year period by some 3,000 men and women in 180 neighbourhoods in Chicago, a diverse city with a considerable population of Hispanic immigrants. What they found was that Mexican Americans were far less likely to be violent than African Americans or whites. When all variables were accounted for it became clear that this was in large part because a quarter of the subjects were born outside the US and more than half lived in communities where the majority of residents were also of Mexican heritage. Overall, first generation immigrants of any background were 45 percent less likely to commit violent acts than third generation Americans, and living in a neighbourhood with a large concentration of immigrants of any nationality was associated with lower levels of violence. In a nutshell, immigration protected these Chicago communities against violent behaviour. While Canada has experienced both a similar drop in crime rates and an escalation in immigration, less research has been conducted here on the subject. In a serendipitous turn of events, however, a University of Toronto study initiated more than thirty years ago provides some of the most convincing evidence to support the theory that more immigration equals less crime. In 1976, John Hagan, now a professor of sociology and law at both U of T and Northwestern University in Chicago, surveyed a group of 835 teenagers at four high schools in a region west of Toronto, near Pearson International Airport. (The community has never been named, to protect residents’ anonymity.) He asked them about their families, their attitudes toward education, what they did when they hung out with their friends, and the kind of trouble they got into. Did they smoke pot? Get into fights? Ever steal a car and take it for a joyride? At the time, Hagan, who has since become one of the most prominent experts on immigration and crime, wasn’t looking into the issue of immigration at all. His interest was in youth delinquency, and such school-based studies were dominant during this period. The site he chose for his research, however, was about to undergo a radical demographic transformation. When his U of T colleagues Ronit Dinovitzer, a professor of sociology and law, and Ron Levi, a professor of criminology, returned in 1999 to repeat the survey, the community had become what they call “a global edge city”—taking the name from Joel Garreau’s groundbreaking 1991 book, Edge City, about emerging suburban economic power centres—with a high proportion of visible minorities, mainly South Asian, black, Filipino, and Chinese. Of Dinovitzer and Levi’s 900 respondents, a full 66 percent were from immigrant, non-European backgrounds (up from 10 percent in the original group), and it was upon seeing this diversity that the researchers realized they had more than just a study on youth delinquency; they had ample evidence to examine the relationship between immigration and crime. 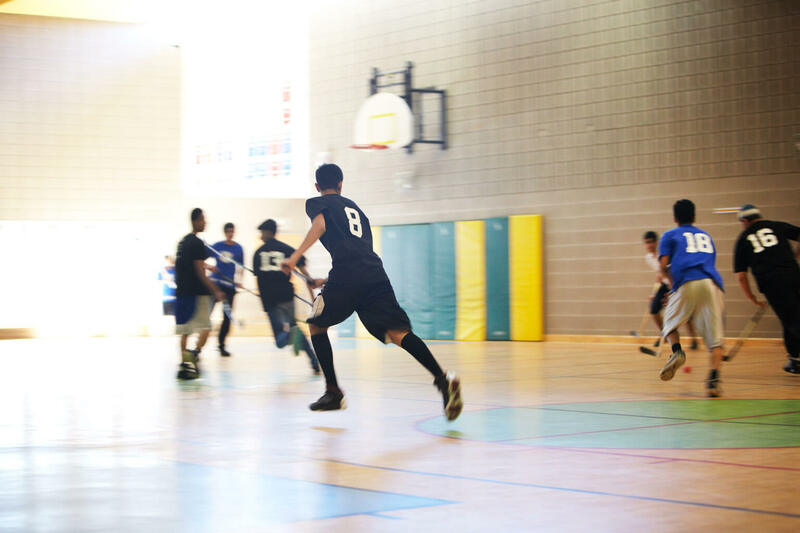 A ball hockey game at Thorncliffe Park Public School. In an office at U of T’s Centre of Criminology, overlooking the Ontario legislature in Queen’s Park, Dinovitzer and Levi explain their findings. The overall rate of what they called “youthful illegalities”—drinking, taking drugs, petty theft, vandalism, fighting, and so on—was significantly lower in the immigrant-rich 1999 cohort, and in both groups immigrant kids were less likely than their peers to engage in delinquent behaviour. Also, as Sampson had discovered, the disinclination to commit crime extended across all nationalities; it didn’t matter whether a teenager’s family was from India or Trinidad or China. Specific cultural values were not at play; nor could behaviour be chalked up to a given ethnic group’s parenting style (sorry, Tiger Moms). “[The model minority] has been a fetish of a lot of the media,” Dinovitzer says. “They want to focus on the good Korean kids, or some other group. Our study unequivocally shows there’s no difference between these immigrant groups.” However, second generation immigrant kids (defined in this study as having been born in Canada or at least having arrived here before age six) were more likely than first generation immigrants (having arrived past the age of twelve) to get into fights, take drugs, vandalize, or steal. In other words, the newer the immigrant, the better behaved he or she was. The Thorncliffe Park neighbourhood is situated at the northern end of the Don Valley, a ravine that bisects east Toronto. Unlike the more affluent, suburban site of the U of T study, it is a maze of postwar high-rises, old-fashioned strip malls, gas stations, convenience stores, kebab takeout shops, and Hakka Chinese restaurants. The average household income is $50,000, and about 43 percent of local families are considered low income. Most of the 26,000 residents live in market-rent apartments in the towers, occasionally squeezing two or more families into a single unit. 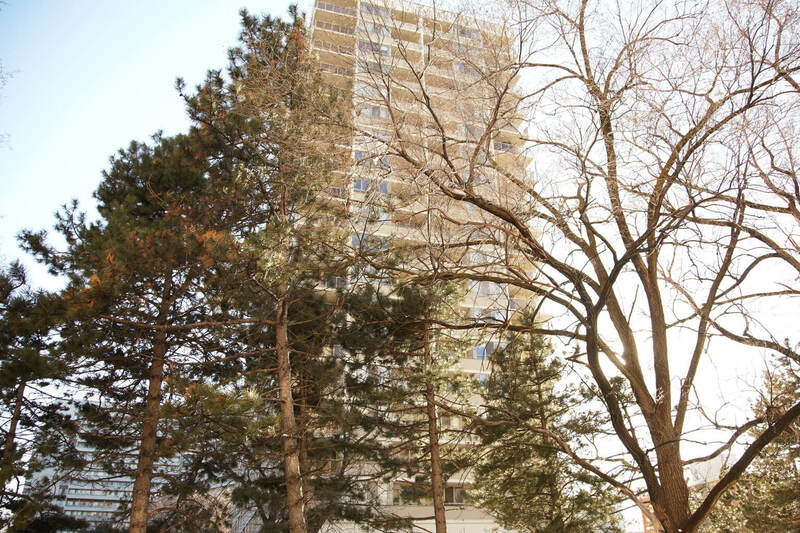 Since it was established in the 1960s, Thorncliffe has been a landing spot for newcomers. In his 2010 book, Arrival City: The Final Migration and Our Next World, Doug Saunders includes the neighbourhood in his profiles of those “always fascinating, bustling, unattractive, improvised, difficult places, full of new people and big plans.” The majority of occupants have roots in Pakistan and India, but there are also people hailing from the Philippines, Afghanistan, Africa, Greece, and the Middle East. My host is Aamir Sukhera, a part-time youth worker at the Thorncliffe Neighbourhood Office, a soup-to-nuts community support agency; he’s also, unofficially, Thorncliffe’s ambassador. His parents are immigrants from Pakistan. While he was a vacation baby, conceived on one of their trips back home thirty-some years ago, he grew up in the neighbourhood and still lives nearby with his father. He wears his thick black hair short and spiky, and his beard and moustache are trimmed to a neat, thin line around his mouth and along his jaw. He’s a genial, talkative guy, and it seems that everyone—political activists, school custodians, local cops, social workers, business owners, community elders—is listed in his cellphone. 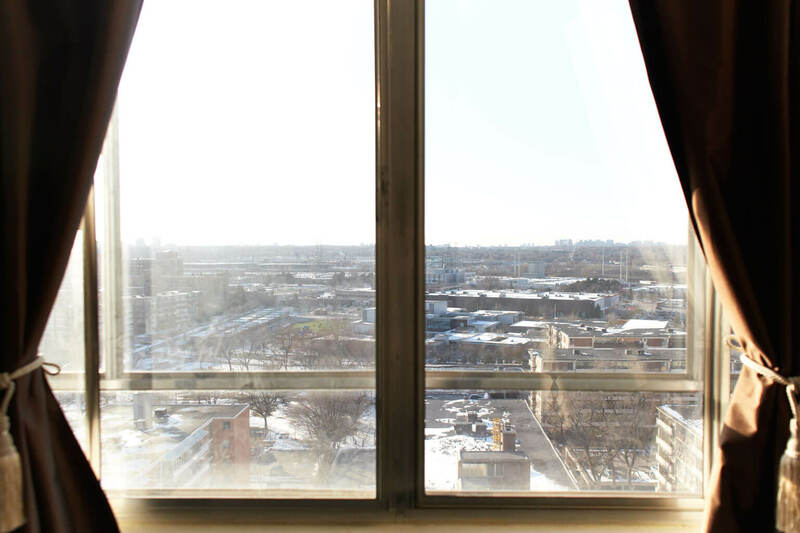 Driving through Thorncliffe Park in his Honda, Sukhera navigates the abutting apartment towers, concrete blocks with satellite dishes jutting out from their balconies, the paint peeling on the trim of the windows. It’s bitterly cold, and the grimy remainder of a recent February snowstorm is piled on small patches of lawn between the buildings; a few hearty pedestrians are bundled in parkas, but I see flashes of brightly coloured cotton peeking out from underneath. Around one corner, Sukhera points out an above ground garage, “a favourite spot for ganja,” he says, then shows me that the high-rise across the road has windows that look down onto it. 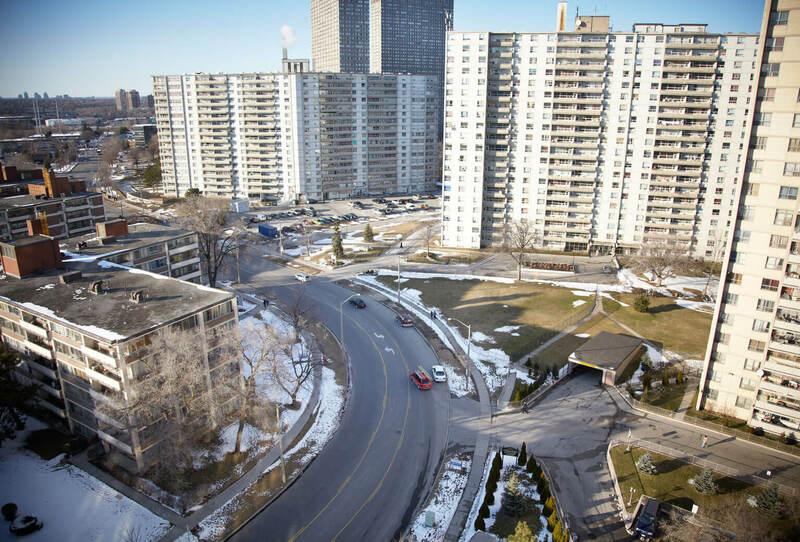 The neighbourhood’s density makes it hard for young people in the community to escape scrutiny. “There’s always someone who’ll tell your parents if they see you smoking, or talking to a girl,” he explains. Soon we pull into an empty parking lot behind another building where he used to play street hockey when he was a kid. A former storage room on the main floor has been converted into a mosque. It’s not time for prayer, so the low-ceilinged room is deserted except for two men in shalwar kameezes, sitting in a corner talking quietly. Sukhera, who is religious but has a considerable rebellious streak, wonders how quickly word will spread that he brought a strange woman into the mosque. Urban planning guru Jane Jacobs called this kind of neighbourhood nosiness “eyes on the street,” and according to Robert J. Sampson it’s one of the reasons immigrant communities like Thorncliffe Park are safer. Another protective factor, he says, is the “spillover effect.” If a critical mass of residents are law abiding, then others will follow suit. “The most crucial factor, though, is the economic revitalization of poor neighbourhoods by immigrants,” Sampson says; that commercial activity creates jobs and keeps the streets busy. 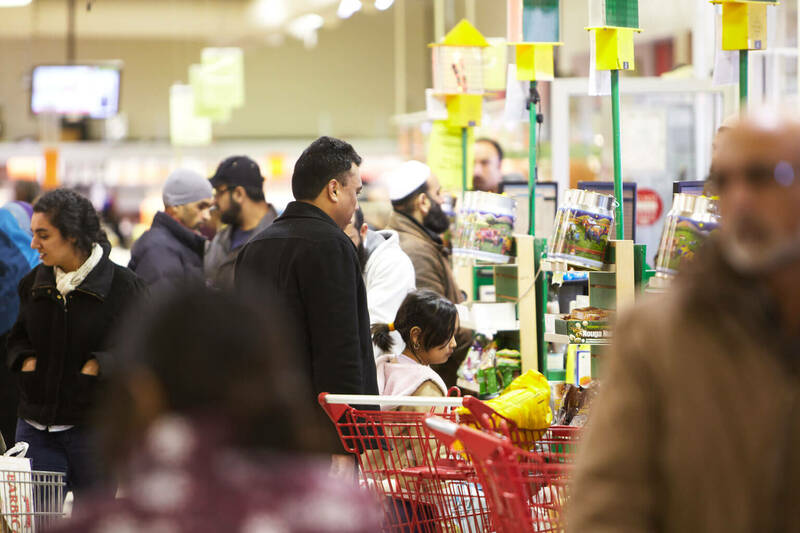 While Thorncliffe is home to some thriving small businesses, like Iqbal Halal Foods, a sprawling South Asian grocery store, it has a way to go before it could be considered revitalized. “That is a total ghetto toboggan,” Sukhera says, when behind one building we spot a little boy attempting to slide down the Don Valley’s steep, tree-covered slope on a battered piece of cardboard. He tells me that there used to be outdoor pools at a couple of the high-rises, but those have been filled in. Later he shows me a park treasured by neighbourhood women; the playground was ripped out a few years back and hasn’t been replaced. Thorncliffe Park still looks kind of rough. Players leaving the ball hockey game at Thorncliffe Park Public School. Before the question of immigration was taken up by researchers, a number of theories had been considered to explain the decline in crime rates in the US and Canada. Maybe it’s due to the aging population. Or it could be the result of a shift in the drug market, a levelling-out of violence after the devastation that followed the crack epidemic of the 1980s. One of the weirder suggestions, popularized by Freakonomics authors Steven D. Levitt and Stephen J. Dubner, is that access to abortion has reduced the birth of unwanted children, who presumably would have had criminal tendencies. Ronit Dinovitzer’s response to this is an eye roll so pronounced it’s nearly audible. You can’t blame her. The root cause of decreasing crime, the reason immigration makes neighbourhoods safer, seems so obvious when you hear it. It goes beyond such phenomena as “eyes on the street,” the “spillover effect,” and community revitalization; these factors speak only to the context of immigrants’ lives. There must be something else at work, some intrinsic motivation that drives individual immigrants to commit fewer crimes. Dinovitzer, Hagan, and Levi’s study was uniquely positioned to determine what that might be. In addition to finding out whether their teenage respondents were getting into trouble, the researchers also asked them about their values, habits, and temperaments. Do you talk to your mother about your feelings? Do you finish your homework? Do you like to take chances? What ultimately set the first generation kids apart were three important protective factors against delinquency: strong family bonds, commitment to education, and aversion to risk. What’s more, these three qualities acted in a kind of feedback loop: the kids who regularly did their homework were also the kids who admired and confided in their parents, and were also the kids who shied away from troublemaking behaviour. I put this to Ahmed Khota, an old friend of Sukhera’s who teaches at Valley Park Middle School, which has a student population of 1,200 representing fifty different languages. We’re sitting in the Thorncliffe Neighbourhood Office Youth Centre, where a half dozen girls are giggling on the well-worn couches; several offer a singsong “Hello, sir” to Khota when they spot him. 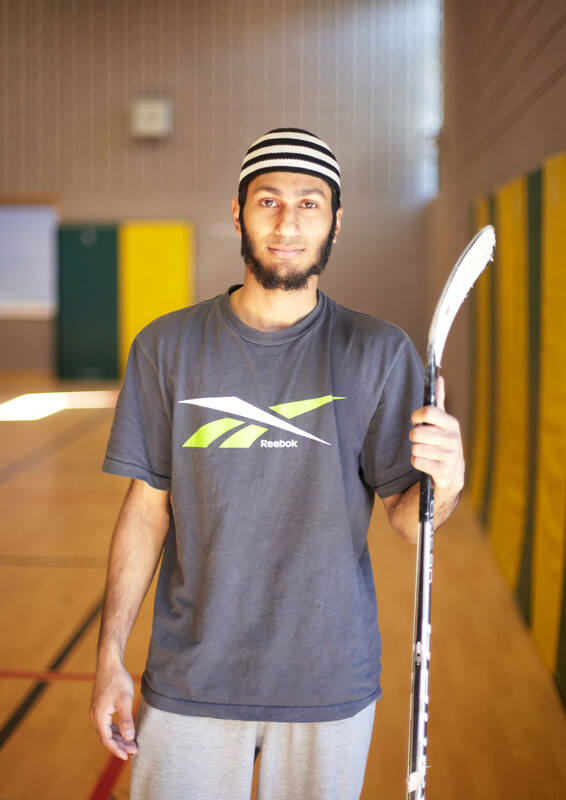 He runs into students all the time and even plays hockey with a few of his former pupils; at Valley Park, a couple of his colleagues were once his teachers. He grew up in the neighbourhood, where his family settled in the 1970s. “They’re like the founders of Thorncliffe,” he says proudly. He left to attend teachers’ college at the University of Windsor, but ultimately lucked into a teaching position back home. If the good news emerging from the research is that immigrants are up-by-the-bootstraps strivers who revitalize cities and reduce crime rates, then the sober side to this story is what happens to their descendants. Remember, Dinovitzer, Hagan, and Levi found that second generation immigrant youth engaged in more criminal behaviour than first generation youth did—about as much, in fact, as Canadians who were third generation and beyond. Dinovitzer says this can be explained partly by the statistical phenomenon of regression toward the mean: “The longer you live in a group, the more likely you are to become like the group,” she says. Over time, people are exposed to new influences and values, and are given more opportunities to get into trouble. Of greater concern are behavioural changes that may stem from the frustration of second generation immigrants who don’t see their parents’ efforts paying off. Canada may score high marks on various scales of immigrant integration, but when the statistics are broken down by race the outlook becomes less promising. There’s a significant wage gap, for example, between the children of visible minority immigrants—particularly those who are Chinese or South Asian, and black males—and the white children of Canadian-born parents. Meanwhile, tough immigration policies like Bill C-49 make it hard for immigrants to get any toehold at all on a new life here. 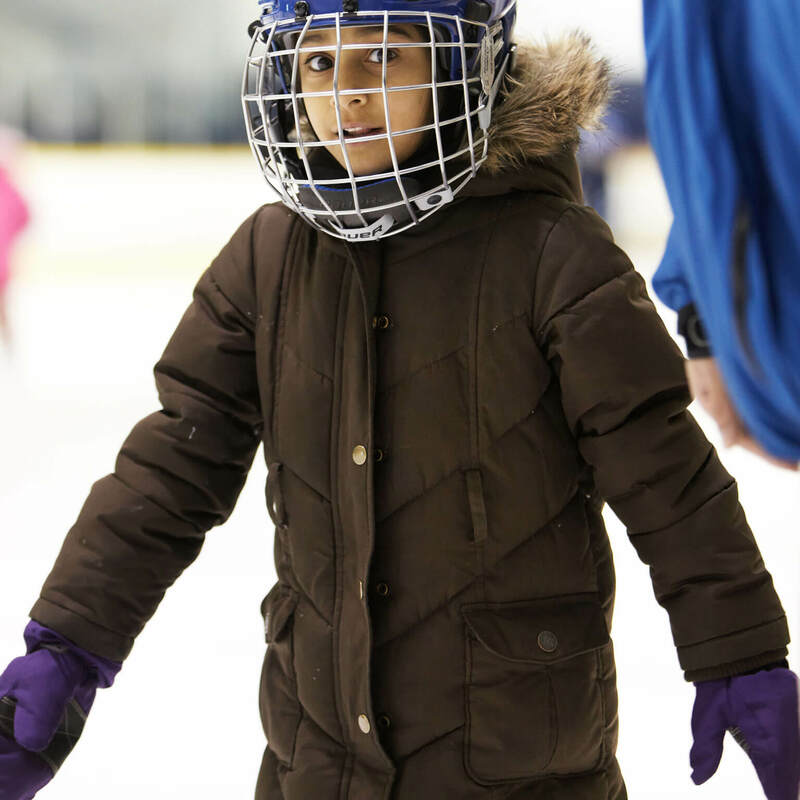 A young girl learns to skate at a nearby rink. But it may not ultimately matter whether the government resolves the double standard. Canada will continue to become even more diverse. It has to: by 2030, deaths in Canada will outnumber births; from that point forward, immigration will be the only growth factor for the population. And each wave of immigration will continue to reshape the country’s complexion, its culture, and its crime rate. When I express dismay about the trend of subsequent generations becoming more delinquent the longer they live in Canada, Dinovitzer reminds me of an important feature of the research that I’ve overlooked. As each generation regresses to the mean, the mean itself has shifted and improved, thanks, it appears, to immigration making the country safer overall. Living in Canada may change immigrants, but not before they change Canada for the better. By the time Sukhera and I finally arrive at the school gym, a humid, hectic ball hockey game is already under way. Armed with a big box of Timbits, he quickly disappears into a mob of hungry teenagers. The players are all skinny arms, churning legs, and enormous, squeaking sneakers. Some still have baby-fat cheeks; others sport patchy facial hair; their heads are covered with a mix of retro baseball caps and crocheted skullcaps. Trash talk ping-pongs around the gym unselfconsciously, in several languages. The referee efficiently types text messages on his smart phone during shift changes. A couple of younger boys goof around on the gym’s stage with a hand-held video game; when they get too rowdy, two older guys gather them up at the edge of the riser to watch the hockey. The whistle blows for the end of the period, and the players slap palms and head for the sidelines. One of them has to leave for home. He peels off his team T-shirt, pulls on a long black robe that he buttons up over his jeans and sweatshirt, and heads out into the world. Derek Shapton is a regular Walrus contributor.